A big thank you to Sears Mastercard for sponsoring this post where I get to share some of the ways that I stretch my budget as much as possible. As you know, I have a big family. I have 5 daughters, the youngest who is nine and just starting to really get into shopping and fashion. I also have 4 grandkids, who by luck, are always with me. We're not the family who likes to stay home, we love to pack in the car and head out to spend our days road tripping, shopping and just having fun. That's usually seven people packed in a car, ready to spend, spend, spend. That means that my money has to go a very LONG way. 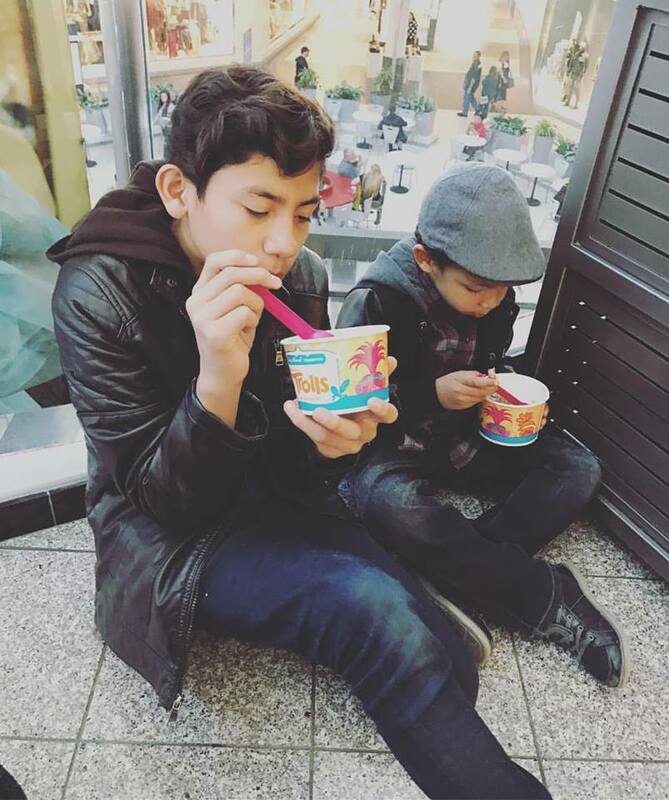 Even though I don't deny the kids much of anything while we are out: we eat, we play, we spend, I still look for ways to get the most bang for my buck. Look for stores that offer rewards: Everything from my morning cup of coffee to my online shopping is through a rewards program. Even in-store, I try to shop at retailers that offer some sort of rewards incentive. I've always loved the Sears Shop Your Way Rewards program. Earning rewards on all of my purchases is a great incentive for me to shop at a retailer because I can use those rewards to score even better deals. Size up in kids clothes: If you have growing kids you have to know how quickly they outgrow clothes. My daughter goes to a uniform only school and twice a year I have to buy a new set of clothes because she outgrows the first set within six months. That's why when we shop for her, I tend do go one size up on anything like pants, tops and jackets. I would rather do some sewing, or do a lot of folding than have her outgrow complete outfits after only a few wears. Shop with a credit card that gives you the best rewards: Shopping with a credit card like the Sears Mastercard with Shop Your Way, which offers great point incentives is the way to go for us. I later redeem those points when shopping at Sears for everything from clothes for the kids to household appliances. Stack the savings: We eat out a lot. Not the best way to save money but if your family is the same, there are still ways to stretch your money. Look for restaurants that have a Kids Eat Free Night or places that offer rewards like a free meal after a certain amount of paid meals. Top those savings by paying with a credit card that gives you cash back, like the Sears Mastercard which gives you 1% in points on eligible purchases. Earn 5% in points at the pump: Putting gas in the car is one of the most expensive things to do, especially if you're like us, always on-the-go. 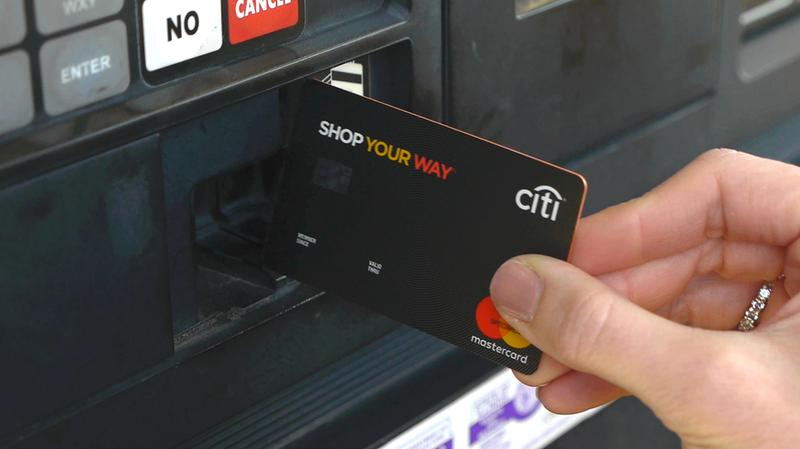 Earning 5% back in points on eligible purchases made at gas stations with the Sears Mastercard is a no-brainer. Those 5% in points will mean that our next shopping trip to Sears will cost a lot less. 1% back in points on all other eligible purchases. Keeping these kids looking their best and having a fun lifestyle with such a big family is not cheap, but it can be done even while on budget. I've always had to look for the best way to stretch my money and these days it's pretty easy to find ways to do so. Look for those extra incentives that give you more bang for your buck and get to enjoying your life, while spending less. This is a sponsored post written by me on behalf of Sears Mastercard.